CLASS 101 DTCL No. 54342 (56342) is seen at GCR Quorn & Woodhouse Yard ready to be dragged by Class 08 No. D3690 to Loughborough on April 5. It arrived from the Midland Railway-Butterley two days earlier. No. 54342 is lucky to have survived following withdrawal in 1989 and seeing internal use by BR at Leeds Neville Hill. When it became available it was initially stripped of useful parts due to potential problems with it being removed from the site. When No. 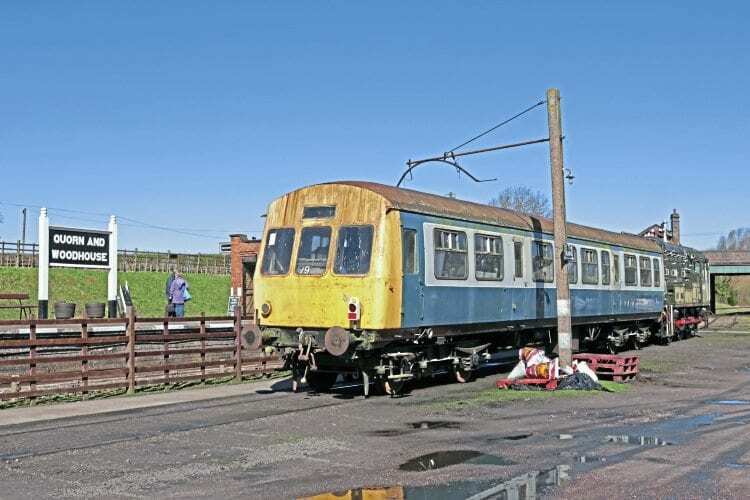 54342 was able to be retrieved it was to be used to house a model railway, first in Cambridgeshire, then Cheshire. However, the council insisted on its removal from the enthusiast’s front garden in Calveley. No. 54342 then went to the MR-B, where it was nearly scrapped after the owner acquired a better DMU, but was then used as a storage vehicle. A new owner acquired No. 54342 in February and is hoping to restore it to operational condition for use on the GCR. Read more News and Features in the May issue of The RM – on sale now! Enjoy more of The Railway Magazine reading every month. Click here to subscribe.